Before paying for this product, be sure to contact me by clicking on the button - "Ask a question". 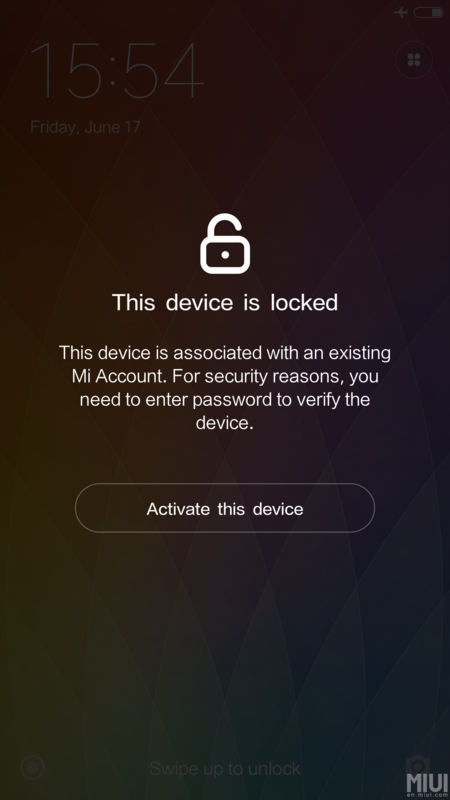 This service is intended for any Xiaomi devices, for removing an account MI lock. The service completely clears your device from the MI account on the Xiaomi server, as completely new. ALL Xiaomi models are supported. On the computer, install the program Mi Flash Pro, go to the Recovery tab (if for the first time you need to log in from some Mi account), we see our IMEI. It happens that with some models, Xiaomi does not show IMEI in MIFlashPro. In this case, you have to disassemble the phone and on the board should be a sticker with IMEI1. In the form of writing this IMEI. The lead time is usually 3-5 days, but there may be a delay of up to 10 days.